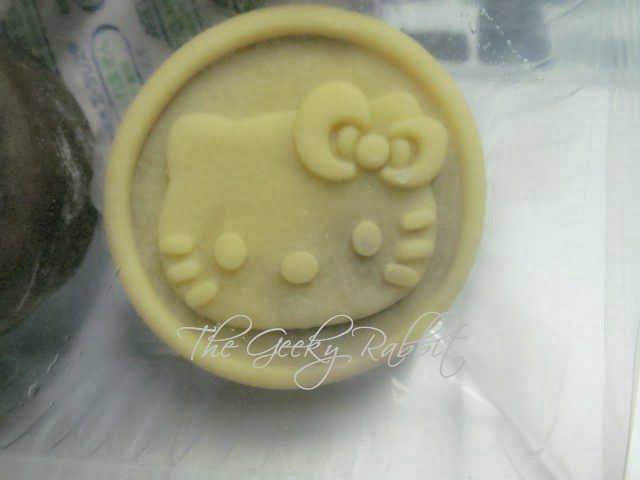 The Geeky Rabbit: Hello Kitty mooncakes! Mid-autumn festival was just over a few days ago, and I managed to have some mooncakes! 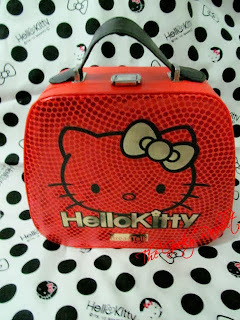 The one that caught my attention most is the Hello Kitty Mooncakes that come in a lovely train case. The train case for the mooncake comes in two colors- blue and red. I picked up the red one and I absolutely adore the gold lettering on the box! The red dots all over the case actually shimmer, so it's extremely pretty. The yellow mooncake tray can be lifted off the case, and I think the mooncake train case would work awesome as a jewellery box! 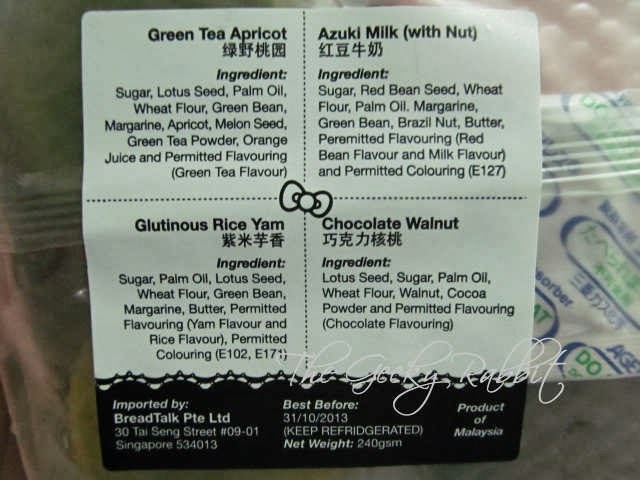 A peek at the ingredients and 4 types of mooncakes above- very unique flavors! How cute can it get! 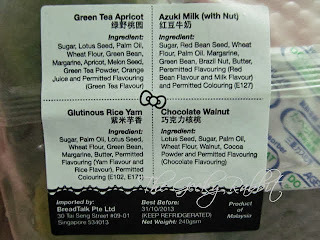 It's actually quite a small mooncake, and pretty yummy too. Not too sweet as well, so absolutely suitable for my palate. 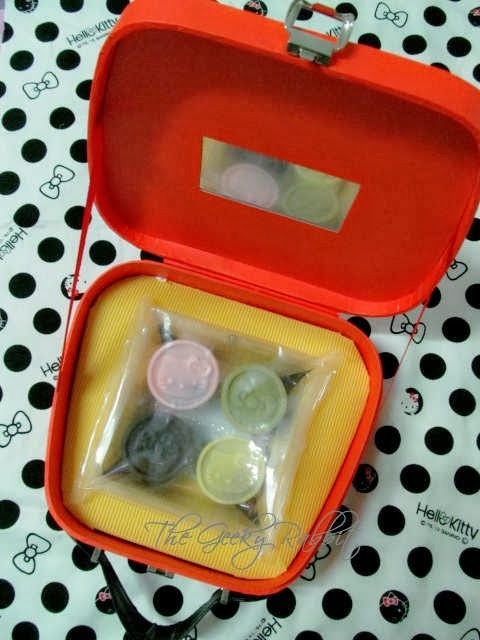 The mooncake set is a real treat for all Hello Kitty fans! Back after a forthnight hiatus!